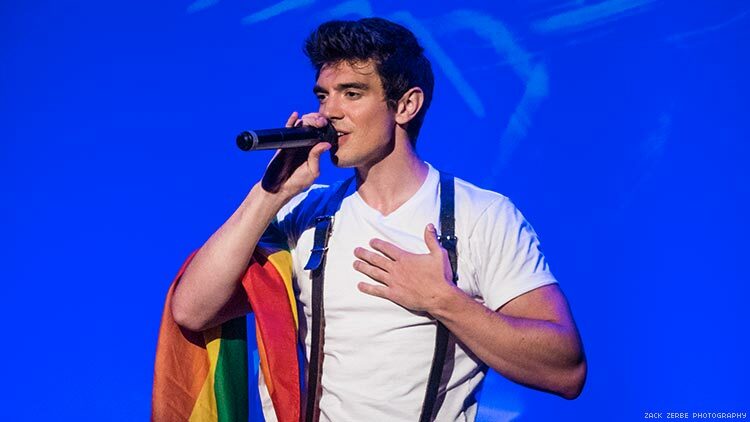 It’s difficult not to quickly fall in love with Steve Grand. The All-American Boy has a perpetual twinkle in his eye and an disarming smile that makes you immediately want to share your darkest secrets. When I met Steve prior to his one-man performance at the Provincetown Art House, he was barking on the street — playing his guitar and handing out flyers for that evening's show. Wearing dark, fitted slim jeans, a plain white T, and leather suspenders, he looked like a living embodiment of a Levi’s commercial. While introverted, bordering on slightly awkward, Steve is open when it comes to his personal life and the challenges he’s worked hard to overcome. In fact, they’re the inspiration behind his music, especially his newly released sophomore album, Not the End of Me. The musician has been sober for roughly two and a half years now. A number of the songs from his most recent album were written while he was drinking. The most raw, heart-wrenching song on Not the End of Me, but also arguably the best track, was the last song he wrote before going sober. And to hear him belt “Disciple” live is soul-crushing. Grand is able to tap into the feelings he experienced while writing this song and wear them all on his sleeve. It’s also beautiful to see how outspoken and forthcoming Grand is discussing his sobriety. That’s what the second song of his new album "Pink Champagne" delves into: the blackout nights, loneliness, and emptiness he experienced from alcohol abuse. In the meantime, as the artist continues to create (and he repeatedly emphasized that there won’t be a three-year wait between albums this time), he will continue to live honestly. “I tried to be as brutally honest as I could be in my songs,” Grand said, and I’m sure he’ll continue being nothing but honest and authentic moving forward. 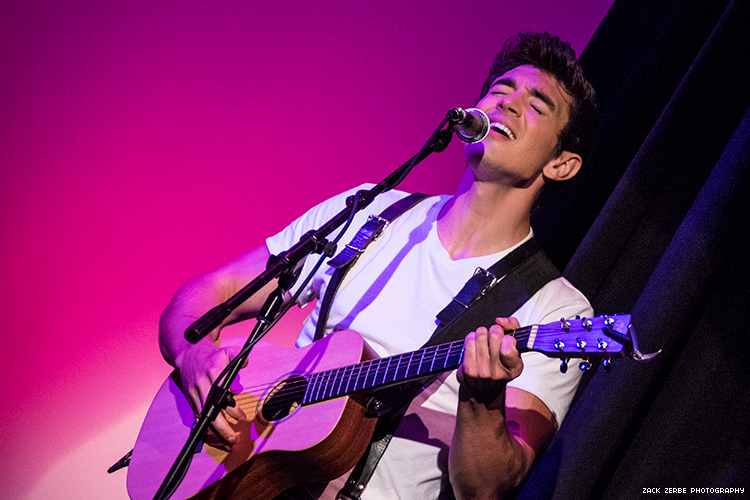 Steve Grand is playing at the Art House in Provincetown until September 9. 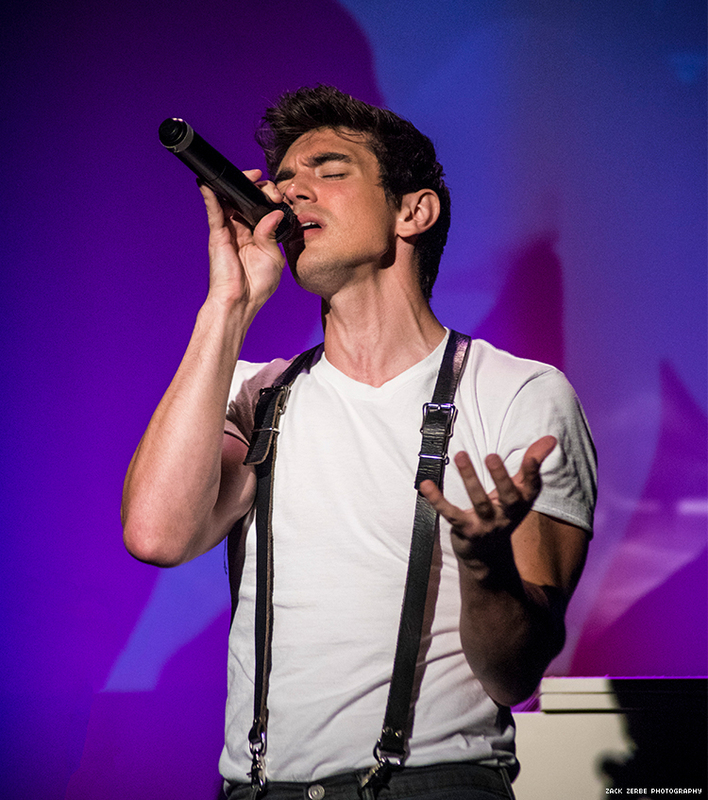 Get notifications if Steve is playing in your town by signing up for bandsintown.com/stevegrand. Listen to Steve’s new album, Not the End of Me, on Spotify and Itunes.